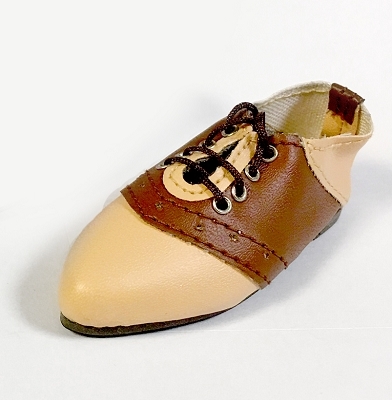 TINY shoes measure approximately 27mm x 11mm (inner measurement approx. 25mm x 11mm). These fit Puki Fee and Azone dolls. SD shoes measure approximately 76mm x 30mm (inner measurement approx. 68-70mm x 2.5cm). 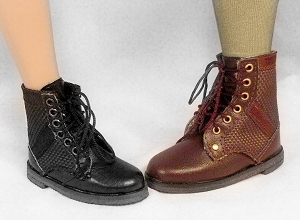 I have tried them on Lishe and Soah and they fit both dolls (tightly on Soah, as her foot is a bit longer). These also fit Tonner Superhero or Peter Pevensie/Mortimer Mort dolls. 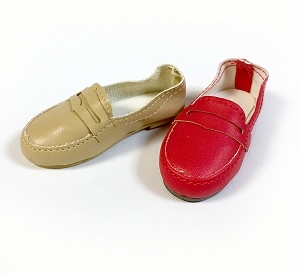 SLMSD shoes measure approximately 62mm x 23mm (inner measurement approx. 58-60mm x 20mm). I have tried them on Minifee Lishe and Narae and they are a good fit. 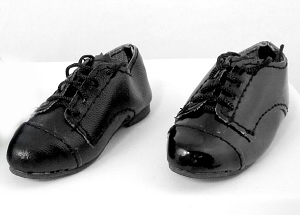 These also fit Tonner Matt dolls.